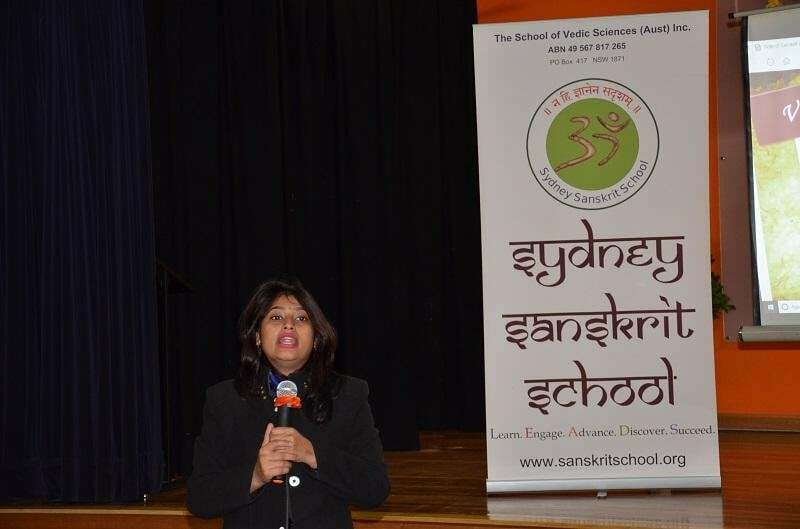 Sydney Sanskrit School and Hindu Council of Australia arranged a two days workshop for Sanskrit lovers by Dr Jyoti Raj ji Assistant Professor Delhi University and DD Sanskrit news reader, editor and reporter. First day class was conducted at Sydney Sanskrit School in Liverpool with over 135 children, parents and other Sanskrit Premis. It was great to see talented Sanskrit children various performances and interactive splendid session by Dr Jyoti ji Arya. Second day was again a very inspiring and interactive session at Swamynarayan Mandir Rosehill that was well attended. Thanks to Dr Jyoti ji Mahabhaga, Dr Meenakshi ji Mahabhaga, Sydney Sanskrit School, Swamynarayan Mandir and everyone who were able to join and contributed for this noble event. Sanskrita-Sambhashanam sulubham ati shobhanam Aasiit!